ExxonMobil Chemical is one of the largest chemical companies worldwide. Our mission is to provide quality chemical products and services in the most efficient and responsible manner to generate outstanding customer and shareholder value while remaining committed to the principles of sustainable development. The surfactant industry faces the challenge of delivering a biodegradable product that meets performance requirements. Many in the industry hold the misconception that there is a trade-off between biodegradability and performance. 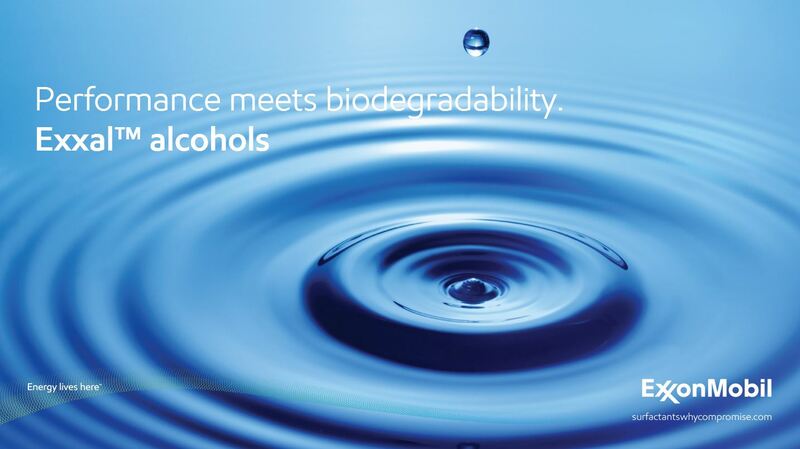 With our line of Exxal™ branched alcohols we have an effective solution that challenges this misconception. A solution that helps your customer meet their performance and environmental needs.